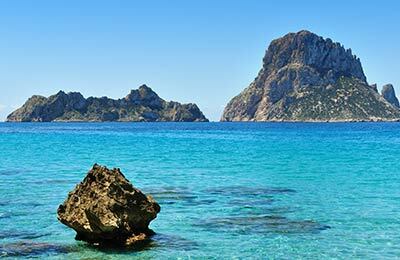 Ferries from the Ferry Port of Ciutadella go to the ports of Alcudia and Barcelona offer the perfect way to travel between the Balearic island of Minorca and mainland Spain. Below, you can see departure times of the latest ferries and our cheapest prices. 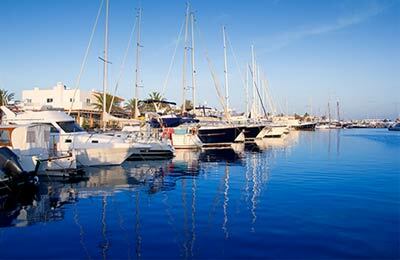 Balearia has a modern, impressive fleet of ferries and offers excellent service. Most of their ships offer a range of cabin and seating options, a bar/cafeteria, restaurant, TV and shops. Trasmediterranea has modern air conditioned ships designed so that passengers feel their journey is a part of their holiday. On board their ships, in addition to a range of cabins and seating, you will find swimming pools in the summer months, bars, restaurants, cinemas and even discos. So book your Ciutadella ferry today with AFerry. Simple and secure booking and great prices year round. The tourism in Ciutadella and the rest of Menorca island, is made up mainly of families, with the result that the peak season is more peaceful than in other destinations of the Balearic Islands. Entrepreneurs and official bodies are implementing a lot of methods to ensure they have quality tourism. Ciutadella Ferry Port offers a full range of services and facilities. Ciutadella is serviced by a regular daytime bus service throughout major places of Menorca. Menorca's network of roads is well structured and constitutes a good way of discovering the towns on the island, either using the regular bus service or a car. The road from Mahon to Ciutadella, the C721, forms the backbone of Menorca.